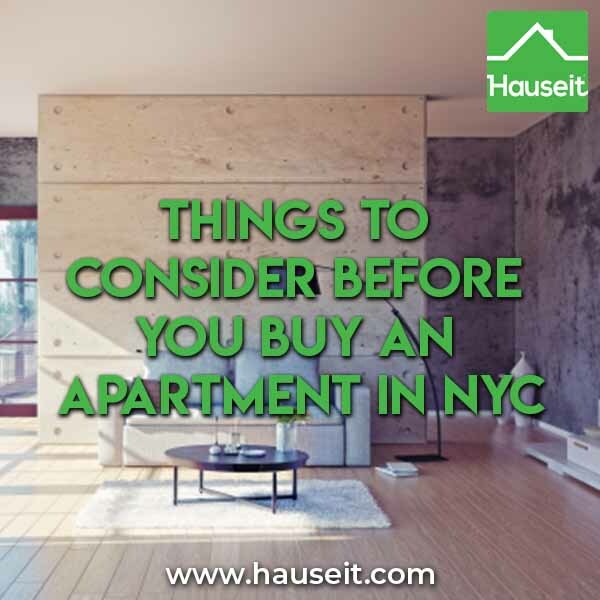 There are many benefits to buying an apartment in NYC and living in the world’s greatest city; however, it’s important to understand what some of the potential downsides could be as well. Most of the articles you’ll find on this topic will be concerned with showing you listings currently for sale or discussing whether you should work with an exclusive buyer’s agent. We know that you’ll want to know whether you should buy an apartment in New York in the first place! Even though California is often ridiculed as having the highest state income taxes, most folks fail to realize that the top marginal tax rates for high earning, self-employed people in New York City can top 16%! The reason this incredibly high 16% income tax rate isn’t mentioned is because the 4% NYC UBT (Unincorporated Business Tax) on self-employed individuals isn’t a regular income tax. However, it operates the same way by levying a 4% tax on the income of any business that is not structured as a corporation (i.e. sole proprietors, Limited Liability Companies, partnerships etc.). Some would say this equates to double taxation since the income of the self-employed is already taxed once through NYC income taxes. Note: Corporations don’t escape the tax man either. They face New York’s Business Corporation Tax which levies a top tax rate of 9% on financial corporations and 8.85% on non-financial corporations. As a result, higher earning New Yorkers face a crushing top marginal tax rate of 8.82% from New York State and 3.876% from New York City. In addition, if they happen to be self-employed or run a small business that isn’t incorporated, they face an additional 4% NYC tax levy through the UBT. From a layman’s eyes, when you add all of those state and local income taxes together it seems pretty clear that the top marginal tax rate for New Yorkers is 16.7%! Note: We recommend you seek tax advice from your accountant and peruse the NYS Department of Taxation and Finance’s current year tax tables yourself. Keep in mind, these incredibly high state and local income taxes, as well as property taxes, are now no longer fully deductible against your federal taxable income starting in 2018 with the recently passed Tax Cuts and Jobs Act. While the blow was partially cushioned1 in the past with a full deduction allowable against your federal taxable income, now New Yorkers can only deduct up to $10,000 of state and local taxes (SALT). As a result, high earning New Yorkers will face an incredibly high top marginal income tax rate in 2018 when they factor in a top federal tax rate of 37%. Unfortunately, the incredibly complex and supposed 20% deduction on income for pass through businesses in the Tax Cuts and Jobs Act mainly favors real estate investors and starts phasing out at $157,500 for individual taxpayers and $315,000 for married taxpayers filing jointly. This means that a high earning, self-employed taxpayer not eligible for the “small business deduction (i.e. handout for real estate investors)” can pay up to 69% in taxes on income!3 Talk about a major disincentive for working in New York City! As we’ll talk about in a later section, because NYC’s cost of living is so high, incomes are necessarily higher than the national average. However, this causes a wide swath of middle income New Yorkers to be affected by these top marginal tax rates. That’s because tax brackets never seem to take into account the local differences in cost of living and what counts as high income in reality. What a shame! Note: none of this applies if you are asset rich or are a real estate investor or developer. Real estate investors are a notoriously favored class in the tax code. Real estate investors will often brag that they own enough real estate (and therefore have enough depreciation) that they have a negative income tax liability! 1 Remember that a SALT deduction is not a dollar for dollar decrease in your federal tax liability. A $10,000 deduction only reduces your federal taxable income by $10,000, you will still be taxed on your remaining federal taxable income. 2 Of the 7.65% FICA tax an employee must pay, the Social Security portion (6.2%) is limited to the first $128,700 of income. However, the remaining 1.45% allocated to Medicare applies to all earnings. The figures are doubled for the self-employed. 3 Assumes top marginal state and local income tax rate and UBT tax rate of 16.7%, top federal income tax rate of 37%, and the FICA tax rate for the self-employed of 15.3%. It’s often quoted that the cost of living in New York City is three times higher than the national average. Before you buy an apartment in NYC, you’ll have to consider whether you can affordably live in your neighborhood long term. Are there affordable grocery stores in your area? Are there any restaurants where you can afford to eat out at without spending a week’s worth of salary? If you’ve been financially prudent enough to be able to save up for a down payment to buy an apartment in NYC, you’re probably equally as leery of having to overpay on taxes as you are of having to overpay for groceries. Fortunately, there are still pockets of New York City that are more affordable. For example, you can still reliably find cheap groceries and affordable restaurants in areas like Chinatown where over development has not yet occurred. However, other areas like Tribeca or SoHo suffer from a complete lack of affordable restaurants or grocery stores. The lowest cost grocery store option in NYC is often Trader Joe’s, but they only have a few locations. If you’re lucky enough to be near one, you can substantially reduce your cost of living by cooking at home versus having to eat out for every meal. Many younger buyers in corporate jobs with expense accounts may initially ignore the cost of living when they are looking to buy an apartment in NYC. They may be too busy at work and at being single to realize that they’ll need a sustainable cost of living to live where they are long term. Once they stop eating Seamless on the corporate expense account at the office when they’re older, they’ll start taking into account the exorbitant cost of living in NYC. Buying an apartment in NYC is no joke. The average co op or condo in NYC sells for $2 million. That’s roughly 10 times the average $200,000 selling price of a home nationwide! However, are middle income New Yorkers making 10 times more than their fellow Americans? Or more importantly, are they 10 times as wealthy? It’s no surprise that rents are equally high in New York City at $3,100 a month for an average 1 bedroom apartment. Just for reference, that’s roughly the monthly pay of the average US worker! However, these prices have not deterred foreign buyers who view NYC property as the ultimate safe haven and store of value for their wealth. NYC property is especially attractive for foreign investors given that there are no special taxes on foreigners when they buy, although there will be FIRPTA and additional considerations for when they sell. 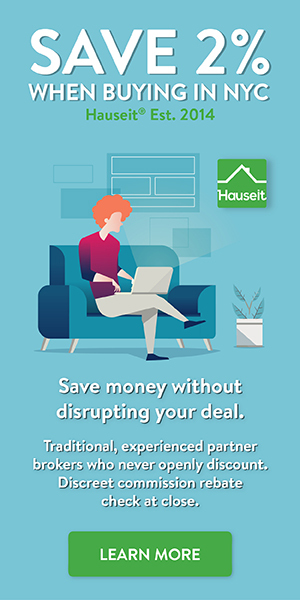 A common rule of thumb for buying an apartment in NYC is to have roughly 30% to 35% of the purchase price saved in liquid assets even if you are only putting 20% down. That’s because closing costs and the associated real estate taxes in NYC are so high! Furthermore, many cooperatives will have post-closing liquidity and other financial requirements that may be more onerous than those imposed by your typical mortgage broker or bank. However, the closing costs you’ll have to pay to buy an apartment in NYC will still be less than the closing costs you’ll pay to sell an apartment in NYC. That’s primarily because sellers typically pay the entire broker fee, which is often split between the seller’s agent and the buyer’s agent. Pro Tip: Estimate your closing costs with our interactive NYC Buyer Closing Cost Calculator. Keep in mind that closing costs will vary per transaction and your lawyer will give you a closing statement with your deal’s exact closing costs before closing day. The typical broker commission is NYC is a whopping 6% of the purchase price! Furthermore, you may have to also pay a flip tax to your building’s reserve fund if you are selling a coop in NYC. That can often be 2% or 3% of your sale price. The last major closing costs that sellers will have to pay are the NY State and NYC transfer taxes, which are almost 2% of the sale price. The closing costs to buy an apartment in NYC are typically less than the closing costs of selling an apartment in NYC. Buyers will have to pay the Mansion Tax of 1% of their purchase price if their purchase is greater than $1 million. Another large NYC closing related real estate tax is the Mortgage Recording Tax. This tax is only levied on the loan amount if the buyer is purchasing with a mortgage. The Mortgage Recording Tax is 2.05% of the loan amount. If you are buying a condo in NYC, you’ll also have to pay for title insurance which can be roughly 0.4% of the purchase price. If you are buying a coop in NYC you won’t have to pay for title insurance nor the Mortgage Recording Tax because you aren’t buying real property; you will have a stock certificate versus a deed and a shareholder loan versus a mortgage. If you happen to be buying a sponsor unit or a new development sale, you’ll be expected to pay for some of the developer’s closing costs. This typically means paying for the sponsor’s NY State and NYC transfer taxes as well as the sponsor’s attorney fees. Keep in mind that even though this is an expectation, it is negotiable and something that an experienced buyer’s agent will try to waive on your behalf.